New York State has one of the highest rates in the nation for tick-borne illnesses. For this reason, it is vital to take all possible precautions and know that threats that these tiny creatures pose to our health. While most infamous for being the carries of Lyme Disease – one of the fastest growing diseases in the country – this is just the beginning of the havoc that ticks can cause. It is important to know what else you may be at risk for, but more importantly, how to prevent coming in contact with ticks altogether. If walking in tall grass or wooded areas, dress in long sleeves and pants, and consider wearing light clothing, so ticks are easier to detect. Tuck pant legs into socks if you are going for a long hike, and wear a hat to keep pests away from the hair and face. Before going outside, use tick repellent that contains DEET, the most effective ingredient known to deter bugs of all kinds. After returning inside from outdoors, take time to check your body for ticks – they are often tiny and easy to miss, especially in hair, where they can hide more easily. 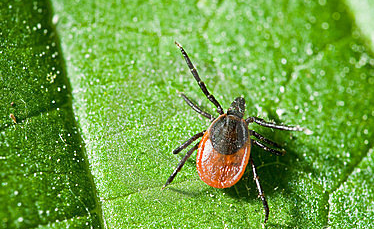 If a tick is found anywhere on the body, it is important to remove it with a slow, steady pull. If it is removed too quickly, parts of the mouth can be left underneath the skin. If you do suspect that you have been bitten by a tick, seek medical attention as soon as possible. For more information and to learn about Pestech’s tick prevention and treatment services, click here or call 1-800-287-BUGS.